When you search the term “Cardiology” in the iTunes app store and Google Play you get about 400 and 250 results respectively. Finding those needles in the haystack, those few apps that will actually help you deliver better care can be challenging to say the least. So leave that search to us. 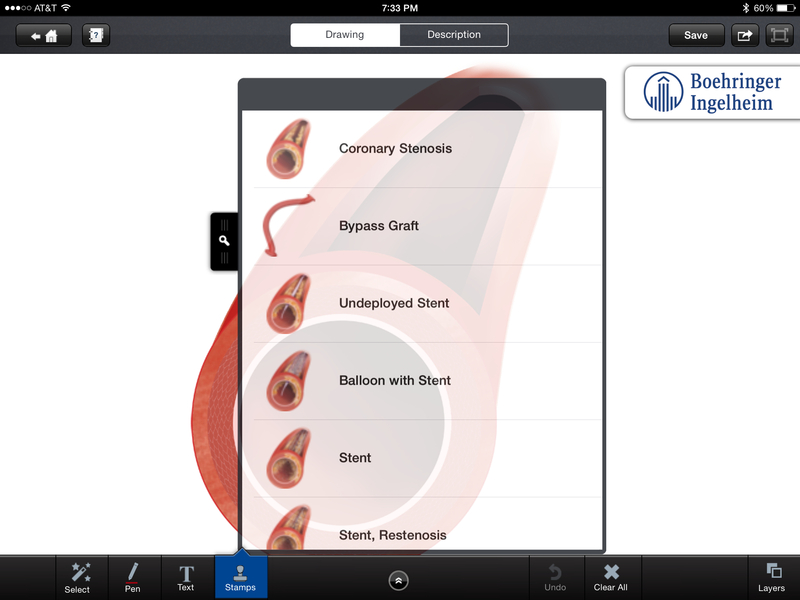 Here’s a list of 10 great cardiology apps to get you started. The apps in this list are based on our experience reviewing over a thousand apps to date and my personal experiences using many of these apps as a cardiology fellow. We’ll be updating and amending this list in the future as we discover more new, innovative apps. In this edition, you’ll notice a few themes including several apps for patient communication as well as a strong presence from professional societies. For example, one of the including drawings is an artery in cross-section. When explaining a focal stenosis, you can add a stamp that adds an atherosclerotic plaque to the vessel. When talking about pre-dilating the lesion, you can add a stamp that adds an intracoronary balloon inside the stenosis. There’s a library of stock images and stamps designed to faciliate common discussions cardiologists have with their patients. One nice feature worth mentioning is the ability to import images or take pictures within the app that can then be drawn on. 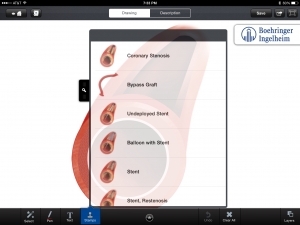 All of the images, including annotations, can be shared with your patient by email. Thanks! if there are any others let us know and we’ll consider adding them to the list.